Hot Wheels® turns into CatalunyaRX ocifial sponsor. Hot Wheels will lead the RX Stars Race, the car cross race of the World RX of Catalunya on 27 and 28 April at the Circuit de Barcelona-Catalunya. The iconic collection car brand will find in the CatalunyaRX an event where they will be very close to their fans. World RX of Catalunya and Hot Wheels present their collaboration for the 5th edition of this round of the FIA ​​World Rallycross Championship, which will be held on weekend of 27 and 28 April at the Circuit de Barcelona-Catalunya. Hot Wheels is the brand of automobiles to scale created in 1968 by Mattel, will be responsible for leading the car cross race organized by local promoter of CatalunyaRX and will bring together renowned pilots of various sports disciplines. The Hot Wheels RX Stars Race will be formed by 4 qualifying rounds (Q1, Q2, Q3 and Q4), two semifinals and one final, which will take place between Saturday and Sunday, and will feature the participation of outstanding international pilots such as the MotoGP rider Pol Espargaró, the Dakar drivers Gerard Farrés and Cristina Gutiérrez, the ex-driver of F1 Dani Clos and the French rider of mountain biking with three medals of the World Championship, Cedric Gracia. Hot Wheels, besides leading the RX Stars Race will also offer fans different activities during the weekend. It will be present in the Fan Zone with a space enabled to see some of its best cars, as well as a play area on its recognized tracks where visitors can challenge each other and measure their skills. Hot Wheels will also have some more surprises for all the fans that come to the Circuit de Barcelona-Catalunya. For the occasion, Hot Wheels will customize a classic vehicle that will be in charge of giving the return of track recognition, the RX Track. 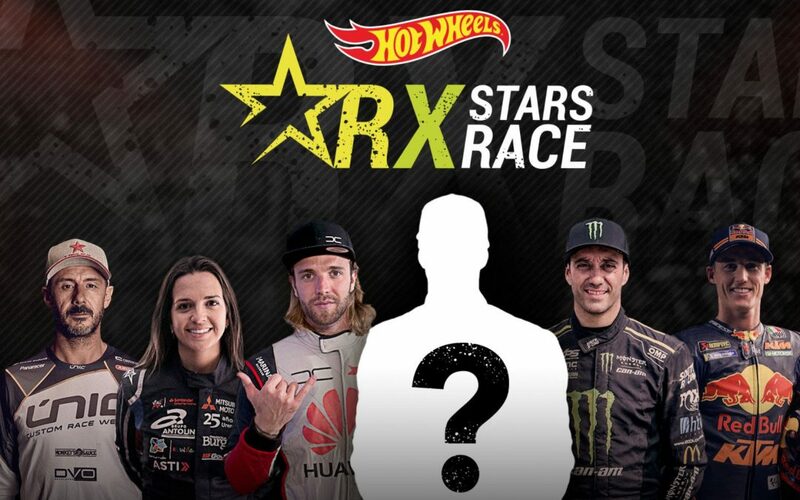 Two are the faces that will complete the album of superstars of the RXstars race, quintet that will be the faces in the CatalunyaRX on 27 and 28 April. The dakariana Cristina Gutierrez and the mountain biker Cedric Gracia will join the three confirmed drivers: Pol Espargaró, Dani Clos and Gerard Farrés. From CatalunyaRX we want to offer the opportunity to one of our fans to become a carcross driver and compete with this quintet in the CatalunyaRX. The chosen one must pass a selection process that will take place on April 18 at the Circuit de Mollerussa. There will be a total of 50 candidates who will demonstrate their skills at the wheel of a Can-am Maverick.10 will be the qualifiers of that first test, that during that same afternoon will fight for that square piloting a Speedcar carcross. RX Stars Selection price: € 99 / Subscription price: € 48 / Subscription price + registration: € 147. To be able to participate in this experience, you must be of age and not have was among the top 3 classifieds of a national or regional motorsport championship. All those registered in the corresponding term must participate in a selection process in which one of the 50 candidates will be chosen as a pilot to compete in the CatalunyaRX.